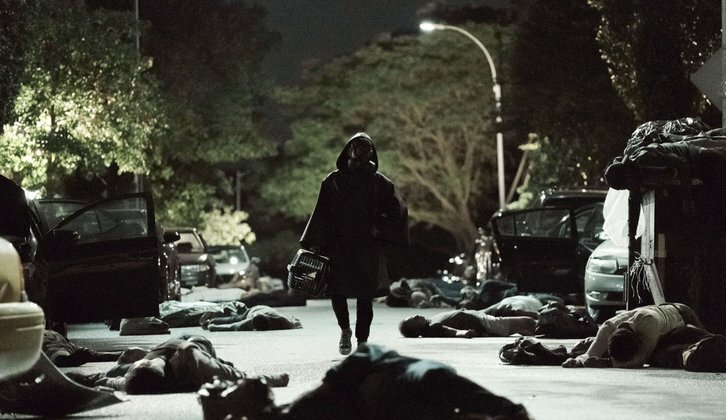 FX Places Order for Drama Series "Y"
LOS ANGELES, February 4, 2019 - Y, the television adaption of the acclaimed post-apocalyptic science fiction comic book series Y: The Last Man, has been ordered to series at FX, it was announced today by Nick Grad and Eric Schrier, Presidents of Original Programming, FX Networks and FX Productions. All of the men are dead. But one. Based on DC Comics' acclaimed series Y: The Last Man by Brian K. Vaughan and Pia Guerra, Y traverses a post-apocalyptic world in which a cataclysmic event has decimated every male save for one lone human. The new world order of women will explore gender, race, class and survival. Diane Lane stars in Y, leading an ensemble cast featuring Barry Keoghan, Imogen Poots, Lashana Lynch, Juliana Canfield with Marin Ireland and Amiber Tamblyn. "Y: The Last Man is a towering achievement among graphic novel storytelling and it's been rewarding to work with this outstanding team," said Grad. "Michael Green and Aïda Mashaka Croal have partnered with Nina Jacobson and Brad Simpson to deliver a stunning new expression of this fascinating and timely story. Melina Matsoukas, who directed the pilot, did an incredible job bringing it to life with Diane Lane and this stellar cast." "Brian and Pia's exploration of a world without men is a favorite for its depth, its humor, its insights and its monkey," said Croal and Green. "Adapted today it offers us a cracked mirror to look at our own very cracked world. We thank them for their trust - we thank FX for their support - and we thank the casting gods for letting us work with this incredible group of actors." Jacobson and Simpson added, "Y is our favorite comic book series ever and we are thrilled to FINALLY bring it to the screen. We are grateful that Brian entrusted it to us and FX, and can't wait for the world to see Michael and Aïda's adaptation." Diane Lane (Under the Tuscan Sun, Nights in Rodanthe), Barry Keoghan (Dunkirk), Imogen Poots (That Awkward Moment, Green Room), Lashana Lynch (Still Star-Crossed, Captain Marvel), Juliana Canfield (Succession) and Marin Ireland (Sneaky Pete, Hell or High Water) have been cast in starring roles in FX & Michael Green's pilot adaptation of Brian K. Vaughan's comic. Diane Lane Set to Star in FX Drama Series Pilot "Y"
LOS ANGELES, July 11, 2018 - Award-winning actor Diane Lane has signed on to star in the drama series pilot Y, headlining an ensemble cast also starring Barry Keoghan, Imogen Poots, Lashana Lynch, Juliana Canfield and Marin Ireland, it was announced today by Eric Schrier and Nick Grad, Presidents of Original Programming for FX Networks and FX Productions. Based on DC Comics' acclaimed series Y: The Last Man by Brian K. Vaughan and Pia Guerra, Y traverses a post-apocalyptic world in which a cataclysmic event has decimated every male mammal save for one lone human. The new world order of women will explore gender, race, class and survival. Michael Green (American Gods, Blade Runner 2049, Logan) and Aïda Mashaka Croal (Luke Cage, Turn) serve as Showrunners and Executive Producers. Nina Jacobson and Brad Simpson of Color Force (American Crime Story, Pose, The Hunger Games) and Brian K. Vaughan are Executive Producers and developed the series. Melina Matsoukas (Insecure, Master of None, Beyonce: Formation) is Director of the pilot episode and also serves as Executive Producer. Y is produced by FX Productions. Diane Lane (Unfaithful, Under the Tuscan Sun) will play "Senator Jennifer Brown." A Junior Senator in her first term, Senator Brown has already made a name for herself in political circles for her willingness to put personal ideals above politics. She is also the mother of Yorick and Hero Brown. Barry Keoghan (Dunkirk, The Killing of a Sacred Deer) will play "Yorick Brown," a young man quick to use humor to deflect from his problems who may be the lone male survivor of a worldwide plague. Imogen Poots (Green Room, Frank & Lola, Knight of Cups) will play "Hero Brown." A tough and confident EMT, Hero nurses a deep emotional trauma that often leads her to cross personal and professional lines. Lashana Lynch (Captain Marvel, Bulletproof, Still Star Crossed) will play "Agent 355," a Secret Service agent who performs the duties of her job with the utmost professionalism, even under the most unexpected set of circumstances. Juliana Canfield (Succession) will play "Beth." A Brooklyn-based knife maker, Beth grew up on a farm and went to New York to experience the big city. She finds something endearing about the hapless Yorick and when they're together, there's the undeniable spark of two kids in love. Marin Ireland (Sneaky Pete, Hell or High Water) with play "Nora," the President's senior assistant and right hand. She effortlessly balances family life with a job navigating the corridors of power.